Check out this lively, modern chicken coop by Nicole Starnes Taylor of MAKE Design Studio. Taylor designed it for three chickens and their owners in urban Seattle. 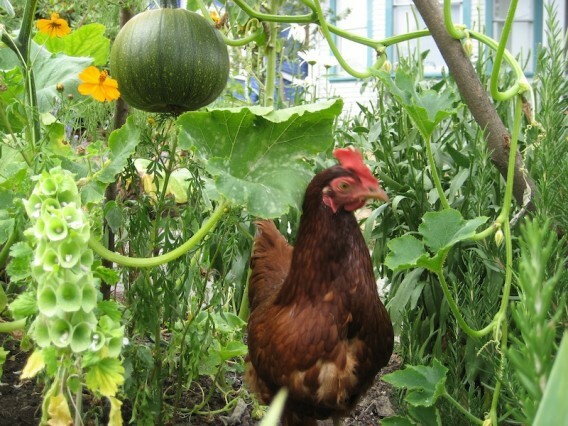 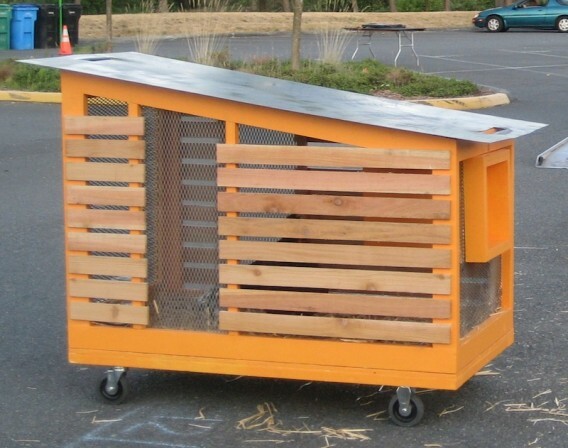 With a screen floor and castors, the mobile hen house fertilizes the underlying ground. 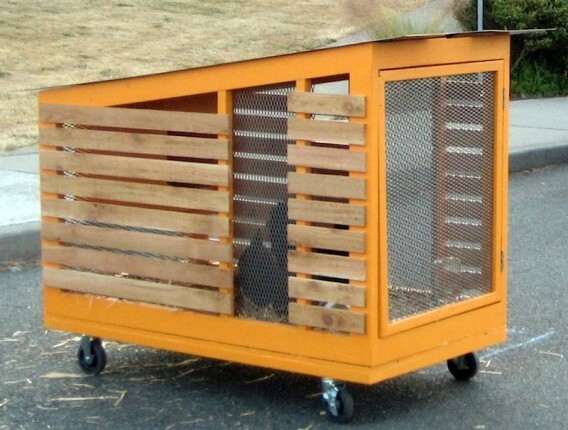 Also, the coop has a hinged door for easy access and can be used as a chicken tractor if need be. 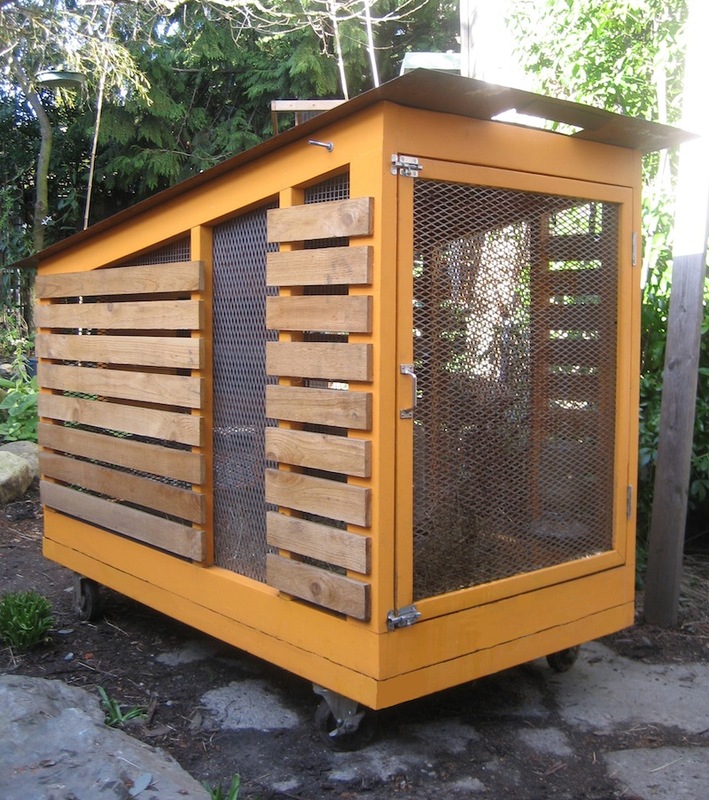 Taylor built the 15 square-foot coop with salvaged framing lumber. [+] More info on this chicken coop by MAKE Design Studio.